Virgin Remy bulk hair length 28"
Virgin Remy bulk hair extension 28"
Our hair is 100% human virgin hair. 1) The hair basis from young healthy girl's braid full cuticle. 2) It is shine, soft, thick and no tangle and no shedding, with high quality and last up long time. 4) hair is easily straightened, curled, dyed, bleached and restyled. 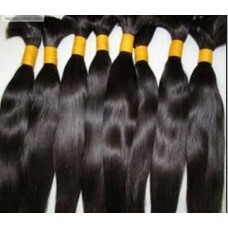 5) bulk hair texture is one of the most popular types of hair extensions for ladies!! 7) Great quality hair, it actually feels and styles like real hair. Product Code: Virgin Remy bulk hair extension 28"
Tags: Virgin Remy bulk hair length 28"